When I started developing software in my first job, the debugger was my best friend. I used it to understand existing code, and even more important, to verify that my logics work. I was really proud that I was able to watch and inspect several variables simultaneously. Debugging code was one of the great insights I gained and I considered it to be the key to mastering software complexity. 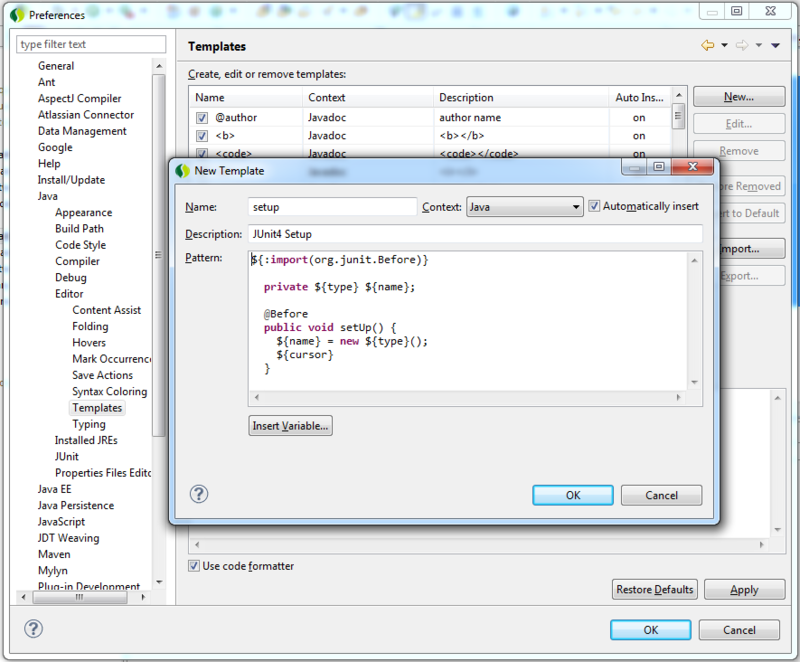 The following Eclipse Editor Template creates the setup method and stores an instance of the class under test in a field. It also handles all necessary imports. Simply assign a catchy name for the template like setup and I’m sure you will have even more fun when writing JUnit Tests.